The club are often confused with the previous club of the same name who folded in 1985. The current day club were founded in 1893 as Rock-a-Nore, before changing name to Hastings & St Leonards in 1921, renamed Hastings Town in 1979, before changing their name to Hastings United in 2002. Formed in 1948 to reintroduce professional football to Hastings. Partially named after Hastings & St Leonards United, the club spent their entire history playing in the Southern League, before eventually folding in 1985 due to long term financial problems. The club was formed in 1971 for employees of local firm STAMCO (Sussex Turnery And Moulding Company) to play friendly matches, the club soon started playing competitively and made rapid progress through the leagues, peaking at the Southern League Premier Division. However, due to a mixture of lack of funds and support, the club went on to struggle on and off the field and folded midway through the 2003-04 season in the Sussex County League. Originally part of the Hastings & St Leonards Amateur Athletic Club, which was founded in 1883. The club played its first game of football under association rules in a 8-0 defeat against the University School at the Central Ground in 1889. Up until then the club had only been playing under rugby rules. They became founder members of the East Sussex League in 1896 and won the competition four times before joining the South Eastern League in 1904, playing against reserve teams from Spurs and Arsenal. In 1906, they merged with neighbours and rivals St Leonards United to form Hastings & St Leonards United. Founded in 1906 following the merger of Hastings & St Leonards FC and St Leonards United. The professional club played in the Southern League, before folding in 1910, owing to financial pressures and failure to gain promotion from Division Two. Founded in 1898 as St Leonards FC, the club originally played their home games at The Green and Silverhill and were nicknamed the 'greenback' due to their colours of green and white quarter shirts. By 1905 the club were playing at the newly opened 'Sports Ground' and would go onto to join the Southern League and turn professional in the same year. They merged with local rivals Hastings & St Leonards in 1906 to form Hastings & St Leonards United. The club was founded in 2002 following the merger between Bexhill Town and Bexhill Amateur Athletic Club, who have since split from the club and compete in the East Sussex League. 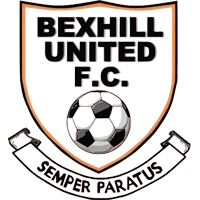 Bexhill Town was founded as Bexhill in 1927 through the merger of Bexhill Town and Bexhill United before joining the Sussex County League shortly after. After the Second World War, the club was renamed Bexhill Town Athletic. Founded in 1966 as Albion United running two youth teams, the club started life in the Hastings League, before moving onto the East Sussex League. 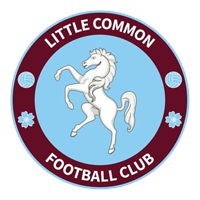 The club joined the Sussex County League in 1977, where they remained until 1995, renaming themselves Little Common Albion in 1986. 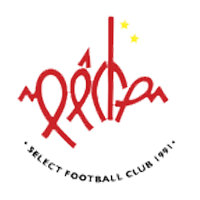 The club rejoined the Sussex County League in 2005, having dropped 'Albion' from their name during their time back in the East Sussex League. 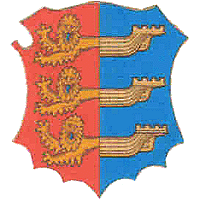 Rye United was formed through the merger of Rye FC and Rye Old Boys in 1938. The club was consistantly one of the strongest sides in the East Sussex League until they joined the newly formed Division Two of the Sussex County League in 1952. 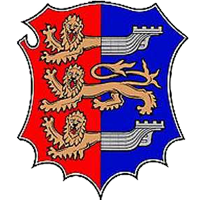 The club dropped out of senior football when they joined the Kent County League in 1983, where they remained until 2001 when they rejoined the Sussex County League. Unfortunately the club folded after they withdrew from the league midway through the 2013-14 season, however football returned to Rye in 2016 thanks to the formation of Rye Town. The new club were entered in Division One of the East Sussex League and play their home games at the Cricket Salts, in the old clubs colours of red and black. 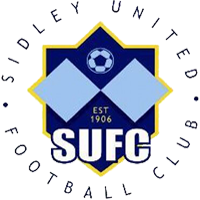 Founded in 1906 as Sidley FC, the club initially played in the Hastings Leagues before joining the East Sussex League. They were founder members of Sussex County League Division Two in 1952 and enjoyed a sixty year spell in the league, winning Division One in 2001. However, they were forced to withdraw from the league in 2013 due to the sports and social club that owned the Gullivers collapsing. They resumed playing the following season in the East Sussex League and play their home games at Hooe Recreation Ground. 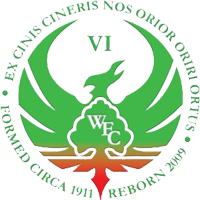 Founded in 1927, Westfield spent their initial seasons playing in the Hastings League and joined the East Sussex League in 1971. They joined the Sussex County League in 1997, where they have remained since. 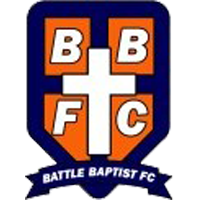 Founded in 2005 by members of the Battle Baptist Church, the club have rapidly expanded to three adult sides, with the first team playing the East Sussex League Premier. The club are now the only football club based in Battle following the demise of Battle Rangers, playing their home games at Battle Recreation Ground and Claverham School. Founded as Battle FC in 1894 and reformed in 1904, the club initially played friendly fixtures before entering the Hastings FA run Carlisle and Brassey cup competitions for the 1905-06 season. In 1909 they became founder members of the Sedlescombe District League and in 1934 the Battle League, successor to the Sedlescombe League. 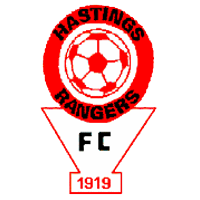 In 1934 they added Rangers to their name to become Battle Rangers and joined the East Sussex League in 1938. After the Second World War they rejoined the East Sussex League in 1948, where they remained until 1954 when they were accepted into Division Two of the Sussex County League. They stayed in the league until 1967, leaving to drop back down to the East Sussex League. The club folded before the 2012-13 season. The Hastings & st Leonards Alliance Amatuer Recreation Club was formed in 1887 and fielded their first football team in 1890, losing 6-0 to Hailsham at the West Hill. The Alliance published it's own monthly publication named the Gazette and an edition from 1892 records games vs Ashford Victoria, Highbury House, Eastbourne College, University School, Rye, Grammar School, St Leonards School, Battle and East Hastings (predecessor to Rock-a-Nore). By 1897 the Alliance were defunct and Hastings & St Leonards took over as main tenants of the Central Ground. There are records of Hastings Rangers in 1909 who just chaged name from West Hill FC, who the current club could possibly be named after. 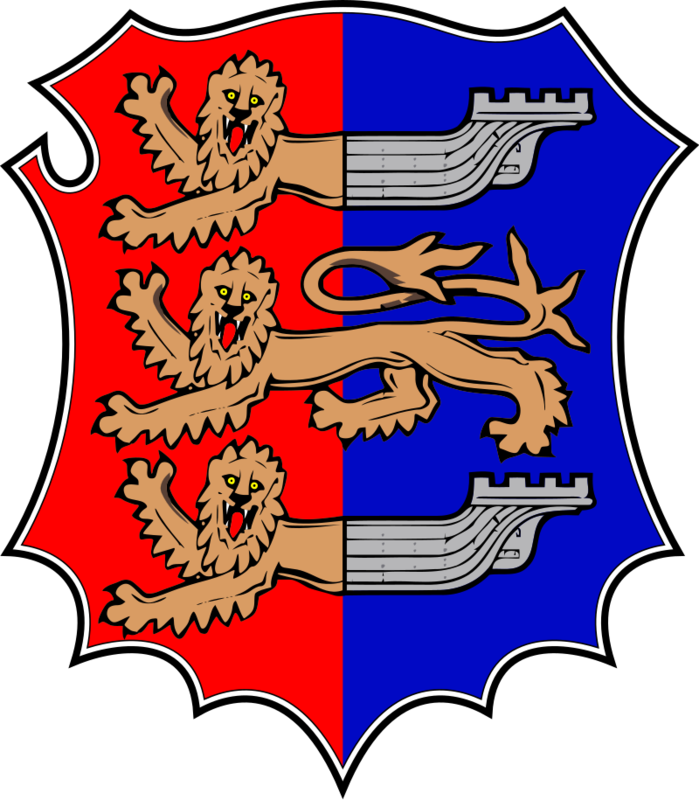 The current club were founded in 1919, the club were founder members of Division Two of the Sussex County League, they spent four seasons in Division One, before dropping back down to Division Two, were they remained until 1973. They were forced to drop back into the East Sussex League after their spell in the county league following a mass exodus of players and the resignation of manager John Brook. Part of the Hollington Old Church club who also participated in tennis and bowls, the football club was formed in 1921 and entered the Hastings League where they spent their short history. Home games were intially played on a pitch located up Old Church Road, before moving onto Baldslow and then settling at Wishing Tree Road (later known as Gibbons Memorial Field). The club never reformed after World War Two and Hollington United became tenants of the Wishing Tree Road pitch. One of the most successful and best supported clubs in the area below the county league, so it perhaps rather surprising that throughout the majority of its history, the club have never competed any higher than the East Sussex League. 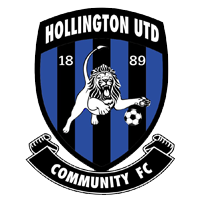 There are records of a Hollington United playing in the 1900s, but seemed to have disappeared by 1906, there are also records of Hollington St Johns (founded as CCC FC) and Hollington PSA around this era. The current club were founded as Silverdale and changed name to Hollington United in 1921. They started out playing in local competitions and would play their home games at Silverhill Park (Old Roar Road), Harrow Lane (back then known as Red Lane or Baldslow) and a pitch up Old Church Road. They briefly used their current pitch down Wishing Tree Road in the 1930s before Hollington Old Church became the main tenants. Following the Second World War, they were one of the most prominent sides playing in local football and were playing at Silverhill (now the ASDA car park) and Windmill Road, before permantly moving back to the ground down Wishing Tree Road now named the Gibbons Memorial Field. After the first team won the 2017-18 East Sussex League Premier, the club finally made the step up joining the Mid-Sussex premier which has been made a step 7 league, making it county standard, for the 2018-19 season. 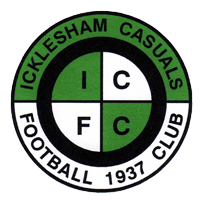 Founded in 1937, Icklesham have spent their entire history playing at Icklesham Rec. They initially played in the Hastings League, then Eastbourne & Hastings League following the merger of the two leagues and eventually the East Sussex League in 1987, where they still play today. Icklesham have a great collection of photos throughout their history on their website. The Junior Club Tackleway was founded by the vicar of All Saints Church as a boys club in 1916, based in an old school hall in Tackleway initial activities were gymnastics and boxing. Football was introduced later on as well as table tennis, the only two surviving branches of the club. The football club used the East Hill pitches for home fixtures, before being forced to move by the mid-1980s. The club were based at Sandrock for a short while before eventually moving to the newly laid out Dave Brown Memorial Field, Barley Lane in 1997. Founded in 1909, the club spent their early history playing in the Battle, Sedlescombe and Ticehurst Leagues, before entering the Hastings League. Mountfield now play in the East Sussex League and play their home games at Riverhall, having previously played near the A21 at John's Cross, on the opposite side to John's Cross Inn. Founded just after the Second World War for former pupils of the Central Modern School (later named Hastings Secondary School for Boys aka Priory Road School). 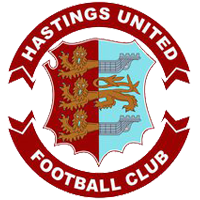 The club started life in the Hastings League before joining the East Sussex League in 1960, they enjoyed a long spell in the league befoe folding in 2008. 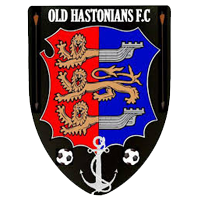 Founded in 1894 for former pupils of Hastings Grammar School (William Parker School), another club with a long history in the East Sussex League, was inactive for a few seasons in the late 2000s, but the 'Stones' were brought back following a name change from Guestling FC in 2013. They reached the East Sussex Premier, before withdrawing from the league before the commencement of the 2017-18 season. Founded in 1991, Peche Hill have spent their short history in the East Sussex League, quickly rising the divisions to reach the East Sussex Premier in 1998, the club remained in the ESFL top flight until 2016, where the first team had ended the season as Champions before withdrawing from the league. Founded in 1896, like near neighbours and rivals Mountfield, the club spent their early history playing in the Battle, Sedlescombe and Ticehurst League, later entering the Hastings and East Sussex Leagues. 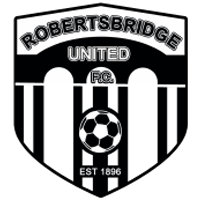 The club disbanded in 2000 following flooding of the village which wiped out Robertsbridge Rec. and the facilities, but the club reformed in 2002 and have worked their way up into the East Sussex Premier. Founded as Old Town Athletic and changed their name to Rock-a-Nore in the summer of 1921, taking on the identity of the original club who'd changed their a few months previously. The club represented the Old Town of Hastings until the mid 1950s when they folded, but reformd in 1979. For information on Rock-a-Nore pre 1921, founder members of the Sussex County League, read the history of Hastings United/Town. Founded in 1890 and played their first game against St Leonards School at the Green, losing 2-0. The club folded in 1900 but made a return for the 1906-07 season. For the 1911-12 the moved to a new pitch at Goddens Field, Rock Lane, with the second side playing at a new pitch in Fairlight. They disappeared for another three seasons after 1921 before returning as St Clements United, this time playing on the lower pitch at the East Hill. The club never reformed following World War Two. Formed in 1907, partially taking on the identity of the old St Leonards club who'd merged with Hastings & St Leonards FC to become Hastings & St Leonards United, played in green and white and shared the Sports Ground with Old Hastonians following the professional clubs move back to the Central Ground. Following the professional club folding, the Amateurs soon become one of the strongest sides in the area. They won the East Sussex League in 1911-12 and 1912-13 before renaming themselves Hastings & St Leonards Amatuers and joined the Athenian League. 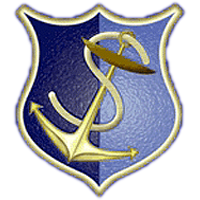 The club never reformed after the First World War, however the St Leonards Amateurs name returned in 1921 after Christ Church Rovers changed their name, but the club folded in 1924. For information on Hastings & St Leonards Amatuers post 1921 who played at the Pilot Field, read the history of Hastings United/Town..
An old amateur athletics club based in St Leonards, who had teams based at the Bo-Peep Field (Most likely site of the South Saxons fields), Silverhill and The Green. It is unclear when the exactly the club was founded, but records show the club were regularly playing association football by 1882, after years of only playing the rugby code. The club also participated in cricket and tennis, but the only surviving branch of the club are the hockey club, founded in 1895, who currently play at Horntye.